James M. Ferris is the founding Director of The Center on Philanthropy and Public Policy at the University of Southern California. He is a Professor in the Sol Price School of Public Policy and holds the Emery Evans Olson Chair in Nonprofit Entrepreneurship and Public Policy. He specializes in the economics of the public and nonprofit sectors, public finance and public policy. 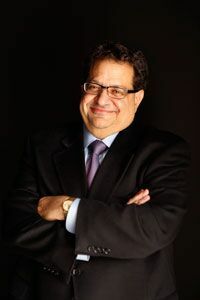 He is currently investigating the changing landscape of philanthropy; roles and strategies for foundation engagement in public policymaking; philanthropic-government partnerships; and place-based philanthropy. He is a Fellow of the National Academy of Public Administration. Read more. Expertise: philanthropy and foundations; nonprofit organizations; nonprofit entrepreneurship and public policy; volunteerism; business/ government relations; contracting out of public services; privatization of public services.